We use a multimeter as a device that measures voltage, current in electronic circuits and resistance. More advanced items also test diodes and continuity. 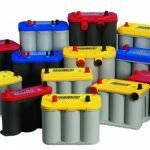 In general, they are small, lightweight and battery operated, and they can test a wide variety of electronic components in many situations, making them indispensable tools for anyone who needs to test and repair electronic circuits. The leader in the manufacture, distribution and service of electronic test tools and software, definitely is Fluke Corporation. 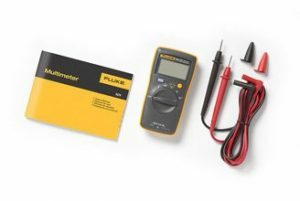 Either if you need a professional or just a basic multimeter we recommend to buy Fluke models, you will be sure that you purchase the qualitative devices. Mostly number one and sometimes number two position Fluke has succeeded in every market in which it competes. 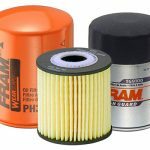 The Fluke brand has a reputation for portability, ruggedness, safety, ease of use and rigid standards of quality. That is why in this article we have collected 5 best Fluke multimeters to buy. 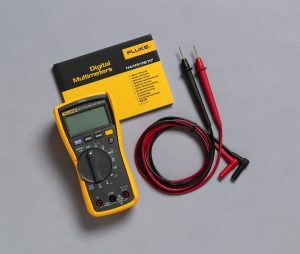 We will start our review with Fluke 101 Basic Digital Multimeter. This item is number one selection for everyone who needs a simple but accurate multimeter. It is a small and lightweight (160g only) model that fits in your hand or your pocket. Thanks to the data hold function, it is easier to read the measurement result. 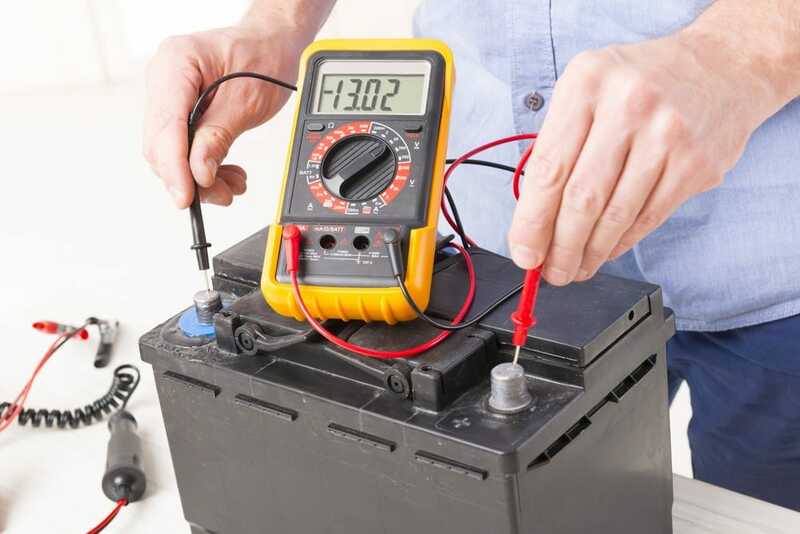 Moreover, it is extremely easy to use the multimeter with the amazing degree of veracity. Outstanding, attractive price on a multimeter that reads AC, DC, continuity, resistance, mV, frequency, diode and surprise capacitance. 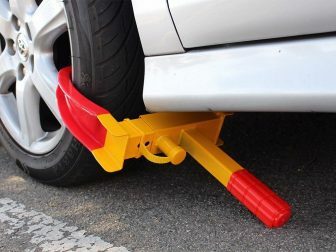 It is compact, fully functional and incredible. Fluke 101 is an excellent device that will provide you with the most accurate measurements for ages. 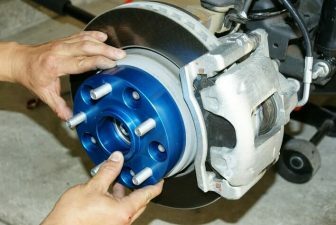 On this basis, you should definitely buy the 101 model if you need an easy and correct helper. 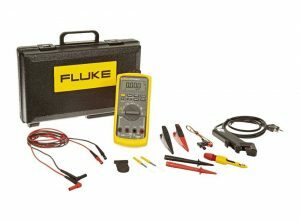 Fluke 88 V/A KIT is a great combination of items in one box. 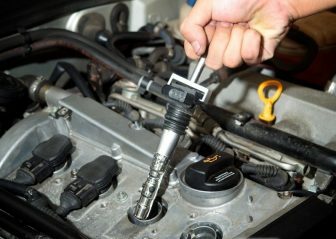 To be more specific, in carrying case you will find everything you need to do a complete automotive diagnostic. The kit comes with the 88 Series V automotive multimeter, silicone test leads, alligator clips, test probes, inductive RPM pick-up probe, ToolPak magnetic meter hanging kit, temperature probe, two automotive backprobe pins and insulation piercing probe. It’s impressive, isn’t it? It should also be mentioned that there is a built-in thermometer so you can check the temperature without using other instruments. 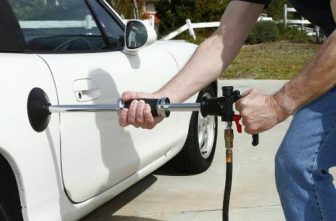 Additionally, you are able to free your hands, thanks to the magnetic hanger that you can use to attach the multimeter to the vehicle. 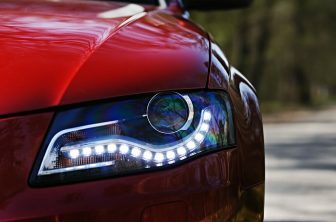 Increased visibility is possible due to the big display digits and two-level bright white backlight. 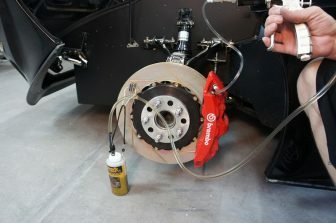 Fluke do their best to provide customers with great products that are easy in use. Fluke 87-V was designed to do measurements fast and accurately in loud, high energy, and high altitude industrial locations. 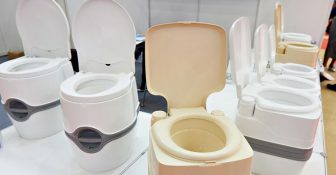 The device has more problem-solving power, safety, convenience, and impact protection than the previous models. Fluke did a great job on improving measurement functions and troubleshooting features in 87-V, in order to deal with issues in motor drives, in-plant automation, power distribution, and electro-mechanical equipment. In addition to 87-V Multimeter, you will find in the box TL75 test leads, AC175 alligator clips, holster, 9V battery and 80BK temperature probe. Fluke corporation takes care of its customer safety. They claim 87-V to be tested to comply with the second edition of ANSI/ISA S82.01 and EN61010-1.The handy meter reduces risks related to surges and spikes. Additionally, new design helps protect against damage, even when the device is dropped. Overall, we strongly recommend it to anyone looking for a high quality and long lasting digital multimeter. For demanding settings like commercial buildings, hospitals and schools it’s an ideal Multimeter. The ghost voltage won’t be your pain anymore due to integrated non-contact voltage detection and the AutoV/LoZ function that are preventing false readings. If you are a professional electrician this device was designed to satisfy all your needs and to help you do your job faster and safer. 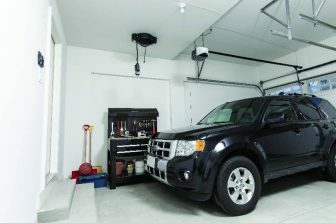 Moreover, 177 is known for its accuracy in measurements. Fluke 117 feels solid, well made, but not heavy and the screen is large and clear, plus it has a light if you are in a dark environment. The continuity beeper won’t blow your ears off, but it is loud enough and extremely responsive. If you are working as an electrician you should have this device in your toolbox in order to do your job fast, accurately and do not worry about being injured. That is why we recommend Fluke 117 Electricians True RMS Multimeter. This combo kit is the best gift that you can buy for industrial electrician. It includes 179 Fluke Multimeter and deluxe accessories, such as 80BK-A integrated DMM temperature probe, installed 9V battery, AC280 SureGrip hook clips, TL910 electronic test probes, TL224 SureGrip insulated test leads, TPAK ToolPak magnetic meter hanger. Everything is packed in lightweight and ergonomic case that easily fits your toolbox. The fact that the holster is integrated into the case design makes it durable, compact, and easy to work with, especially if you work in tough environments. 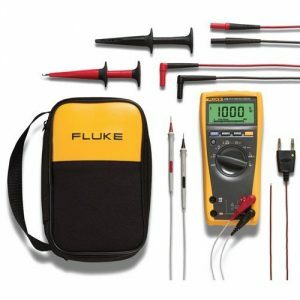 Fluke 179/EDA2 Combo Kit it’s a great deal, you will all be satisfied with measurements and reliability. If you are working as a professional industrial electrician this Combo Kit is the best choice that you could make. We strongly recommend you consider buying this Fluke 179/EDA2 6 Piece Industrial Electronics Multimeter Combo Kit. It’s impossible to beat Fluke when it comes to multimeters. All of them work perfectly and are very accurate. Of course, we have to mention that they are super reliable and once you purchase Fluke multimeter it will come in handy in your daily use for a really long time. 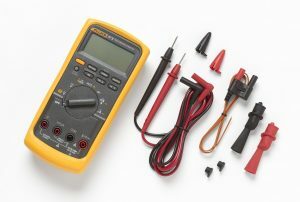 That is why Fluke is the industry standard in nearly all commercial and industrial environments and why almost all electricians have at least one their products in the toolbox. Fluke tools provide both professionals and typical customers the ability to troubleshoot the complex systems and detect problems quickly. So we can say that Fluke corporation helps to support business and industry around the globe. Moreover, all the units have been tested and proven so when you need quality and survivability, as well as maximum personal protection, these meters are your choice. Be sure that each of the Fluke items is sent to several of the major safety ; standards testing groups for testing and proofing. It’s highly important to use proven devices when your life at stake. Maybe some of the Fluke meters are more expensive than other, but it’s still cheaper than the cheapest hospital stay.